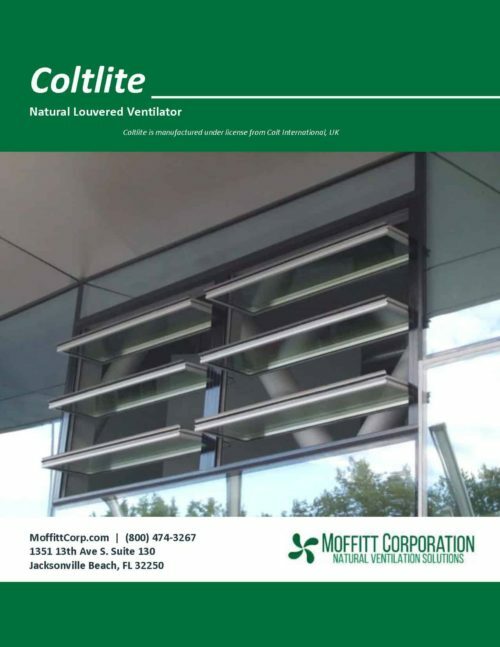 The Moffitt Coltlite is a natural louvered ventilator suitable for natural day-to-day building ventilation. It also provides smoke control and natural daylighting, without electrical or operating costs. The Moffitt Coltlite is CE marked. Each unit can provide inlet and extract ventilation for commercial and industrial buildings. Typical applications are hospitals, schools, shopping centers, apartments, and commercial buildings. The Moffitt Coltlite is easy to install. It is delivered fully assembled for installation into a structural opening or curtain walling. It has a wide range of base profiles to suit most sheeting, curb or glazing applications. The frame is manufactured from tough, corrosion resistant aluminum alloy, with stainless steel fixings, to ensure durability. The frameworks is narrow but large enough to contain / hide the motors. Click here To learn more about natural smoke ventilation for climate control and passive smoke ventilation. 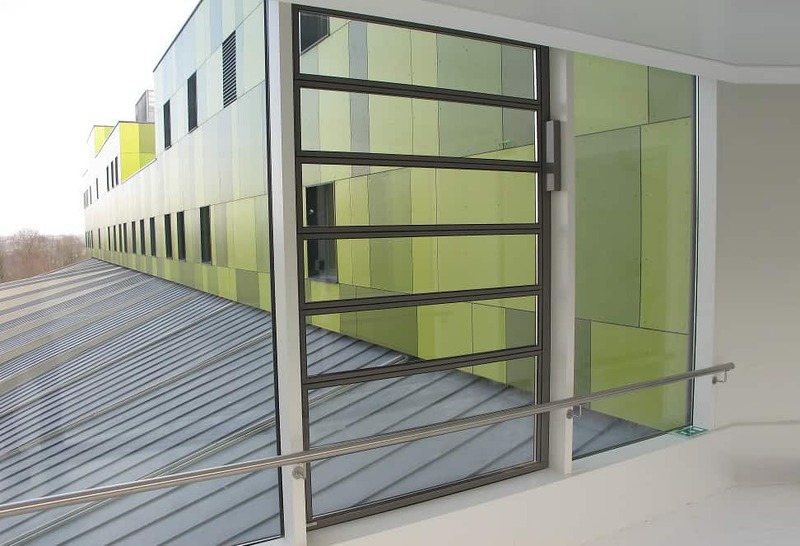 Glazing: Double glazed or frameless single glazed overlapping louvers. The Coltlite name is trademark of Colt International Licensing Limited, UK. The Coltlite is suited for installation into the façade of the building.